A healthy local government sector is vital for a healthy democracy. It is the tier of government that is closest to people and therefore provides access to decision-making processes at the local level. Much of our environmental and transport planning, for example, is devolved to local government. Underpinning the philosophy of local government in countries such as New Zealand is a belief that many of the decisions of government can and should be taken in different places by people of diverse experience, associations, background and political persuasion. Enabling different communities to take governmental decisions and set priorities for themselves can contribute to a more effective overall system of government which is better able to tackle the difficult issues and decisions we face as a society. Geographical distance and diversity mean that a one-size-fits-all approach will inevitably lead to poor decisions and outcomes. Local government not only ensures that the diverse needs and aspirations of different groups and communities are taken into account but it provides a vital counterbalance to the power of central government. It also shares the Treaty responsibilities of the Crown and therefore is a key partner of iwi ensuring government delivers on the Treaty principles of partnership, protection and participation. Yet, local government is often poorly understood at best, and ignored and maligned at worst. The lack of public understanding of local government, combined with a widespread cynicism about political engagement is reflected in the declining voter turnout that has been a concern in both parliamentary and local elections. The table below shows the trends in both local and general elections. Many will say that there are other forms of political participation and that voting is not so important when there are other opportunities to influence political decision-making. However, we do not know whether those people who are not voting are in fact participating in other ways that have an influence on local and central government decision-making. We do know that non-voting is not evenly distributed. This means that those who are elected are not as representative as they should be. Another question that needs to be addressed is: how low could turnout in local (and general) elections go before the legitimacy of those elections is thrown into doubt? There are many complex factors influencing voter behaviour and political engagement more generally and New Zealand is not alone in experiencing a decline. We need to understand those factors better but we can learn from other democracies that have healthier turnouts and stronger local government. And we can protect and improve what we have. Local government needs reinvigorating especially given the many changes that have undermined it in recent years. Central government has, on several recent occasions, sought to impose its will on local government and has enhanced its own powers to intervene in local government, in particular, when it considers that local government is not performing satisfactorily. processes to fast-track environmental planning and decision-making processes that have increased the cost and complexity of public participation. While elements of some of these changes may have merit, the overall effect has been to increase the distance between citizens and elected members, diminish local government’s autonomy, and reduce citizens’ ability to influence local decision-making. This is seen very clearly in the reduction of the number of elected representatives in recent years in New Zealand, and in the representation ratio which, in comparison with other countries, is very poor as the table below shows. There are much more effective and appropriate ways to ensure local government can be an effective partner of central government and a strong advocate for local communities. Local government needs to be supported by legislation, policy and funding arrangements if it is to play a vital role in contributing to New Zealand’s social and economic development while ensuring that environmental quality, which underpins and determines our social and economic well-being, is maintained and improved. Many of the complex changes and challenges that face our society cannot be addressed by central government alone. They require a genuinely collaborative response from central working with local government, and the range of other societal actors – individuals, households, businesses, civil society. The statutory purpose of local government since 1989 has been to “enable democratic local decision-making and action by, and on behalf of communities”. For democratic local decision-making action by communities, as well as on behalf of them, we need strong participatory democracy alongside local representative democracy. constitutional recognition of the importance of local government in New Zealand’s democratic arrangements and statutory recognition of its vital contribution to economic, social, environmental and cultural well-being in the interest of nation-building and intergenerational equity. improved central-local relations and, in particular, enhanced communication and co-operation between local and central government as recommended by the May 2013 NZ Productivity Commission report Towards better local regulation. more streamlined electoral processes offering more choice in how people can cast their vote in local elections (including the option of e-voting); a single electoral system based on proportional representation principles to reduce confusion from having both STV and FPP; better information about why, how and when to vote; and mechanisms to ensure equitable and effective Māori representation. 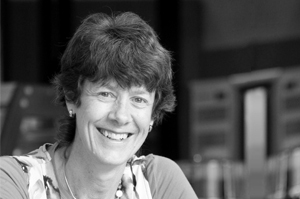 Christine Cheyne is an Associate Professor in the Resource and Environmental Planning programme at Massey University. 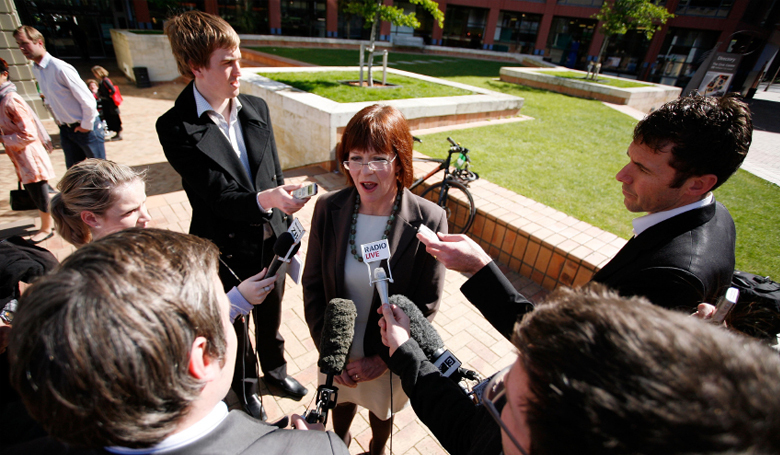 Her research encompasses public participation in planning processes under local government, resource management, transport and conservation legislation; local decision-making; local government funding; local political leadership; and collaborative governance especially in relation to environmental and transport planning and decision-making. Dr. Cheyne was a member of the Local Government Rates Inquiry in 2006-2007 and a member of the Taranaki-Whanganui Conservation Board for ten years.